Americans are spending more on home improvements, but at a slower pace than a year ago. That’s potentially bad news for the housing market. 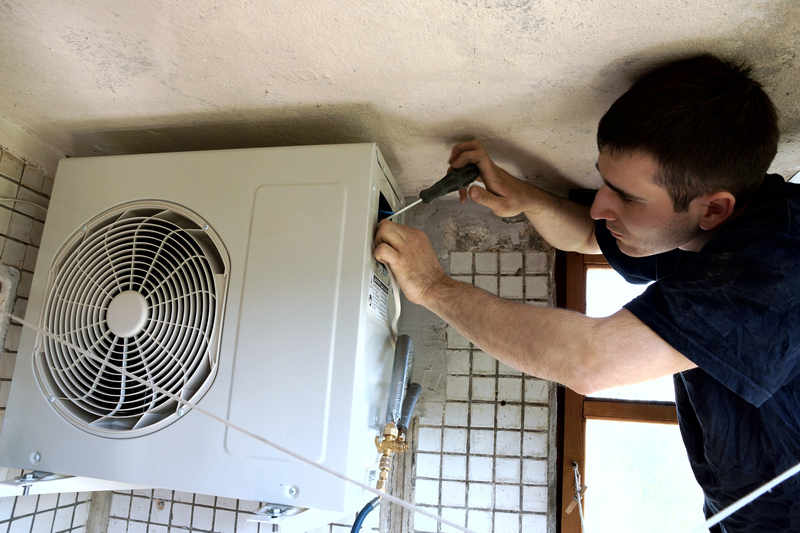 Spending by homeowners on property improvements is expected to reach an estimated $151.1 billion for the 12 months ending in the third quarter of this year, according to data released Thursday by the Harvard Joint Center for Housing Studies. While that’s an annual increase of 3.5% over the same period a year ago, the rate of growth has gradually slowed from a recent peak of 10% growth in the third quarter of last year versus the same period in 2013. Annual growth is projected to slow for the rest of 2015, it says, but then accelerate again by next year. This tepid rate of growth in remodeling is supported by earlier research on the subject. The amount of money Americans have been spending per home improvement project has declined over the last five years, from $6,200 in 2010 to $4,100 in 2015. Still, spending on these projects has increased slightly from $4,000 last year, the latest American Express “Spending and Savings Tracker” survey concluded. What’s more, some 75% of U.S. homeowners plan renovations this year, up slightly from 73% in 2014, the research found. On average, Americans plan to spend $3,600 on indoor remodeling and $1,800 on outdoor remodeling this year, according to American Express, which surveyed 1,882 adults with an annual income of $100,000 or more. More respondents also said they are hiring contractors to do the work (21% in 2015 versus 15% in 2014) rather than doing it themselves. The most popular projects are renovating a room (an estimated 40% of all projects in 2015), followed by minor cosmetic work such as painting (31%) and landscaping (22%). Spending on renovations helps the overall economy. Given that inflation-adjusted investment in residential structures remains well below its mid-2006 peak, any acceleration in remodeling would be serendipitous. But previous patterns of remodeling—relocation followed by renovation—have reflected the aging of the country’s baby boomers and should not necessarily be expected to continue. Others are more upbeat about the prospect of a surge in remodeling. 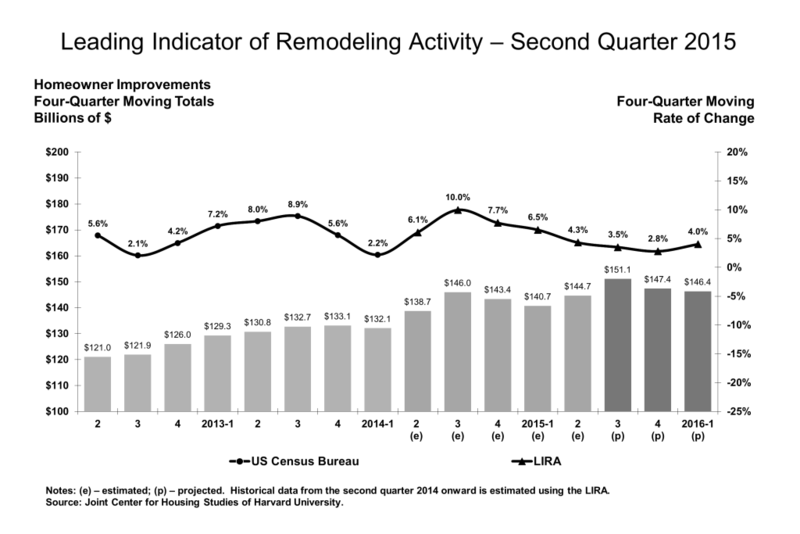 A major driver of the anticipated growth in remodeling spending is the recent pick up in home sales activity. (Sales of existing homes rose 5.1% in May, the fastest rate since 2009.) Recent homebuyers typically spend about a third more on home improvements than non-movers, even after controlling for any age or income differences.